The UGCT currently has 5 operational CT scanners: EMCT, Hector, Medusa, Nanowood and Herakles (in collaboration with XMI). The Environmental Micro-CT or EMCT system is a rather unique, gantry-based high-resolution setup developed for fast CT scanning and in-situ monitoring. The design of a horizontal gantry allows for the installation of a large number of add-on modules such as flow cells, pressure stages, temperature stages, ... in a convenient vertical position without a limitation on tubes and wires. 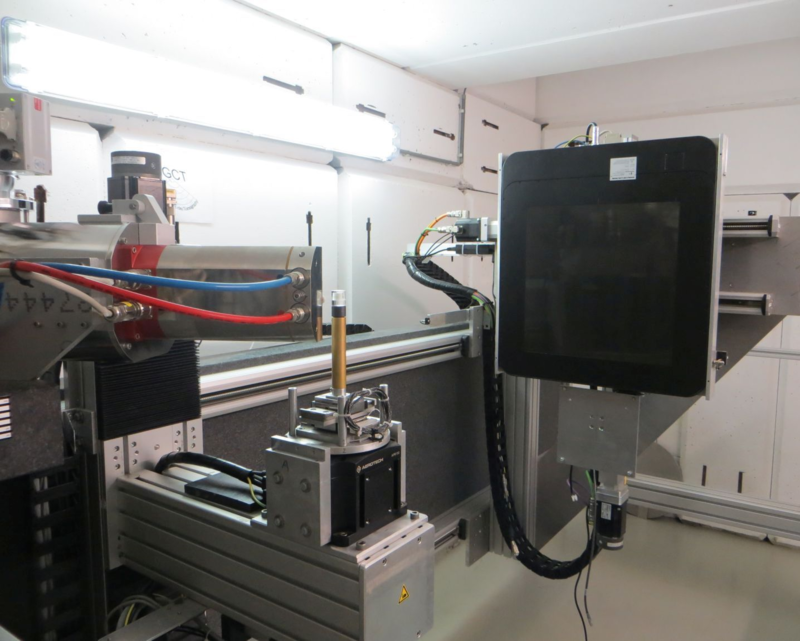 Furthermore, the components are chosen to enable fast and continuous CT scanning at up to 5 full rotations per minute. Illustrative examples of fast, in-situ images are explained in Bultreys et al. (alternative download). More details about this system can also be found in Dierick et al., Nucl. Instr. Meth. Phys. Res. B 324, 35-40 (2014). 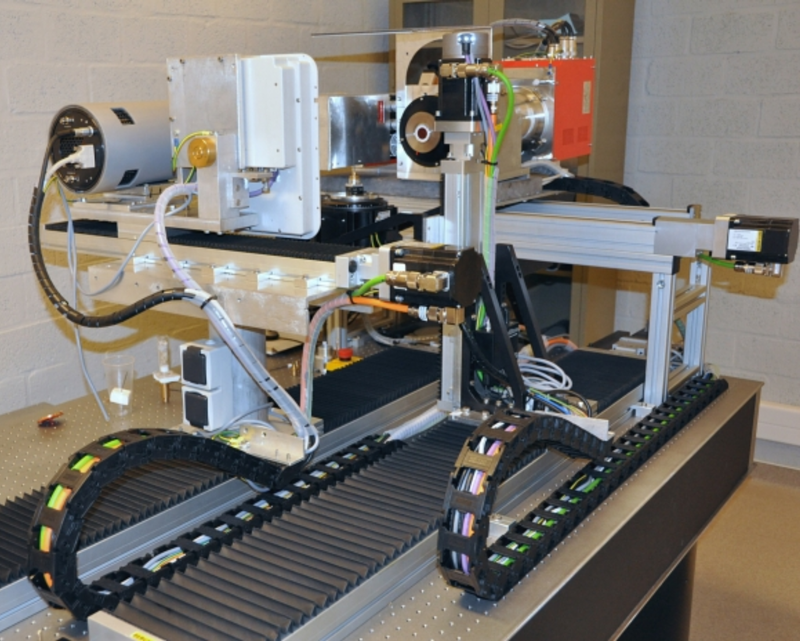 The High-Energy CT system Optimized for Research or HECTOR is the workhorse of our systems. It is equipped with a 240 kV X-ray tube from X-RAY WorX, a PerkinElmer 1620 flat-panel detector and a rotation stage able to carry samples up to 80 kg. Mounted on a total of 5 motorized linear stages, this system covers a very wide range of samples with a best achievable spatial resolution of approximately 3 micron and an image resolution of 2048x2048 pixels. Two additional piezo stages allow for an exact positioning of the sample on the rotation axis. More details can be found in the dedicated paper by Masschaele et al; pdf version available for download. The combined micro-CT - micro-XRF system Herakles combines three scanning stages for extensive sample characterization. One high-resolution CT stage is complemented with two micro-XRF stages, where the three stages are linked by a innovative air-beared positioning system which offers a sub-micron accuracy over the complete setup, necessary for the image correlation. 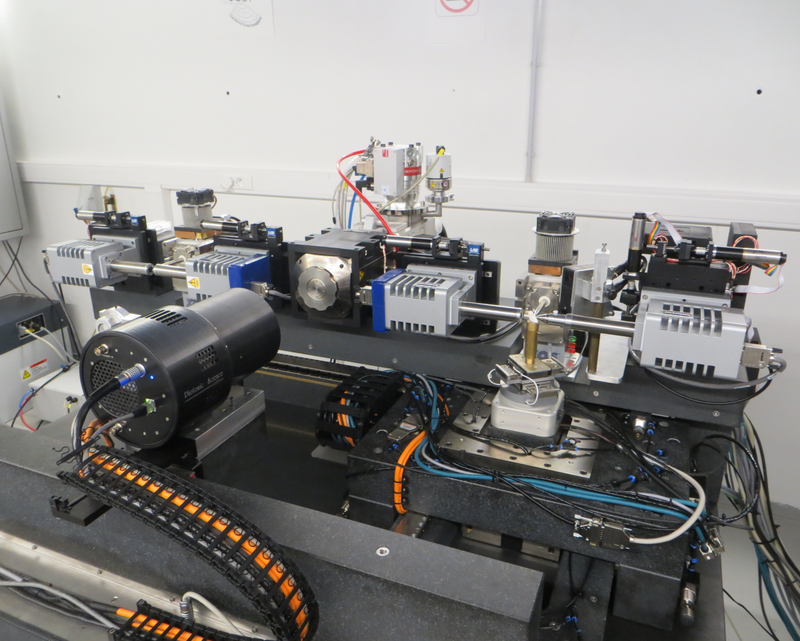 This setup is currently in its final stage of construction and can be used for state-of-the-art research soon. 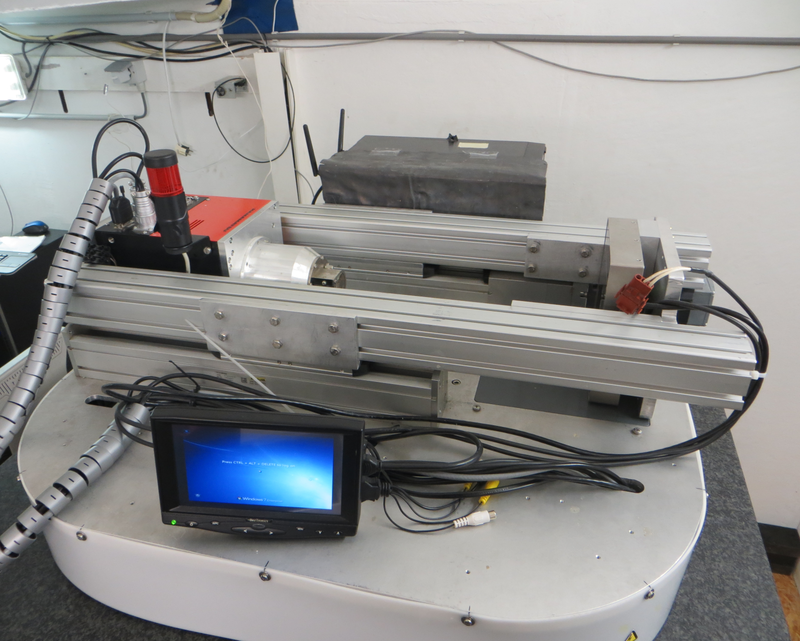 This system was developed and constructed in collaboration with the X-ray Microspectroscopy and Imaging group of Prof. L. Vincze (XMI) with the financial support of the Hercules Foundation (project AUGE/11/024. 2011). More details can be found in the dedicated paper by Laforce et al. The very high resolution scanner Medusa is the re-designed version of the first UGCT sub-micron CT system, of which a description can be found in Masschaele et al. (2007). Similar to this system and Nanowood, it combines a Photonic Science VHR detector with a large-area Varian flat-panel detector to allow for both low-density objects such as biological tissue, and high-density samples such as geomaterials. Both detectors are mounted on motorized linear stages for easy and fast switching and high accuracy. On this stage, additional space is available for experimental detectors and other tests. The setup also allows for a very long propagation distance of 1.4m, which can be exploited for phase-contrast experiments. The FeinFocus transmission tube allows for a resolution of approximately 0.9 µm and for X-ray targets of different material and thickness. 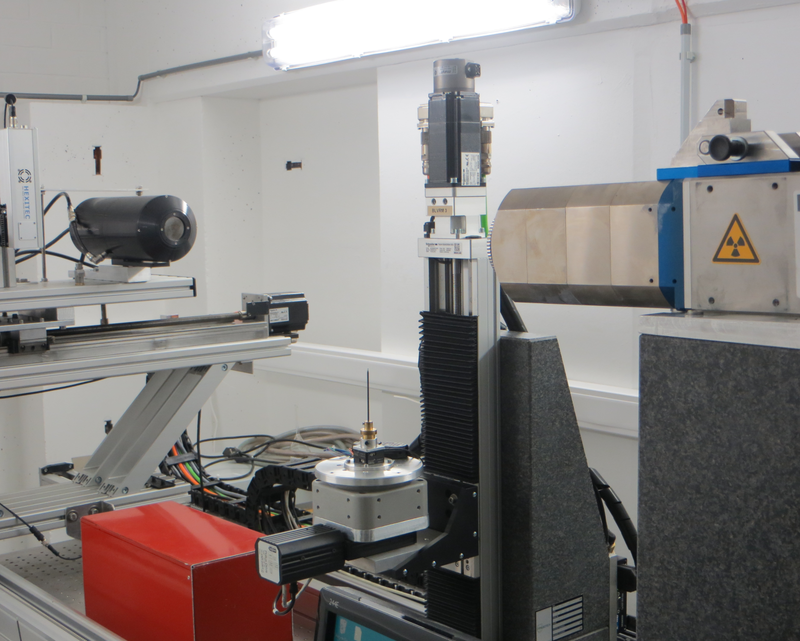 The extremely versatile multi-resolution X-ray tomography scanner is located at the Laboratory for Wood technology, hence its name. It is equipped with two separate X-ray tubes and two different X-ray detectors to allow for optimal scanning conditions for a very wide range of samples. The open-type Hamamatsu transmission tube is used for very high resolution CT scans, where a resolution of approximately 0.4 micron can be achieved, whereas the closed-type Hamamatsu directional tube head is used for larger samples. On the detector side, an 11 megapixel Photonic Science VHR CCD camera with a pixel size of approximately 7² µm² is complemented with a large-area Varian flat-panel detector. Using 7 motorized linear stages, X-ray tube and detector can be switched with a click of a button, and the scanning geometry can be chosen to optimize the detected X-ray flux or optimize the X-ray propagation distance for phase contrast imaging. More details about this system can be found in Dierick et al., Nucl. Instr. Meth. Phys. Res. B 324, 35-40 (2014). More information about using our facility can be found at our user page.